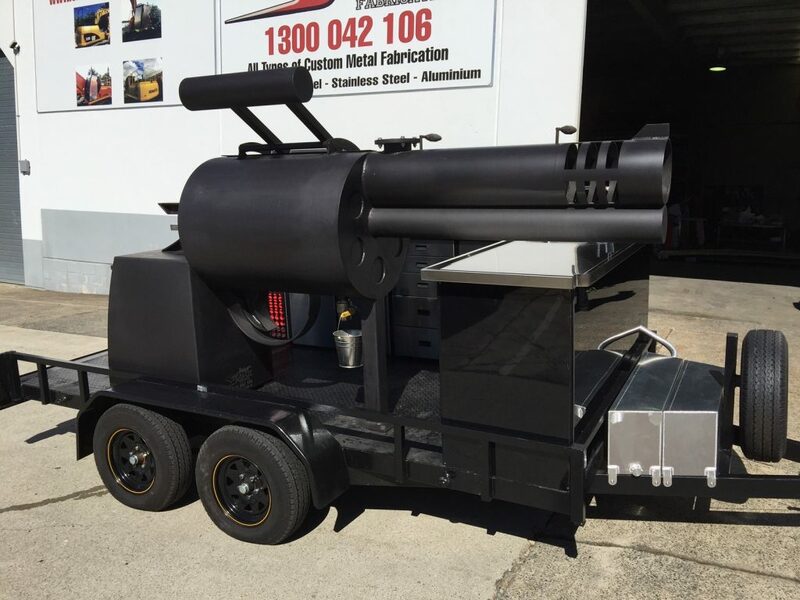 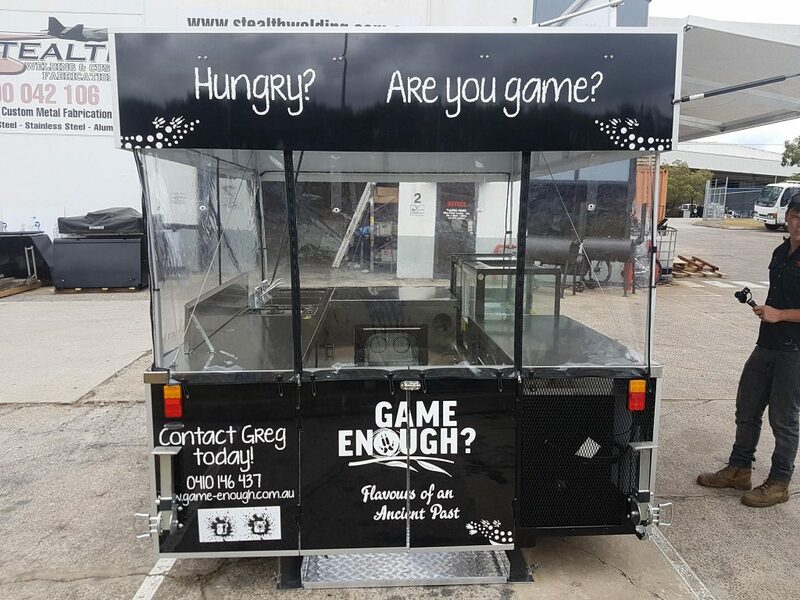 Stand out from the crowd with a Stealth Custom Built Food Trailer! 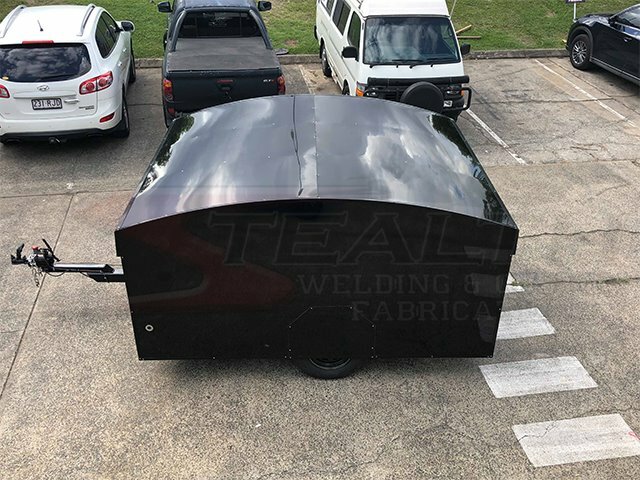 Contact us to make your dream become a reality. 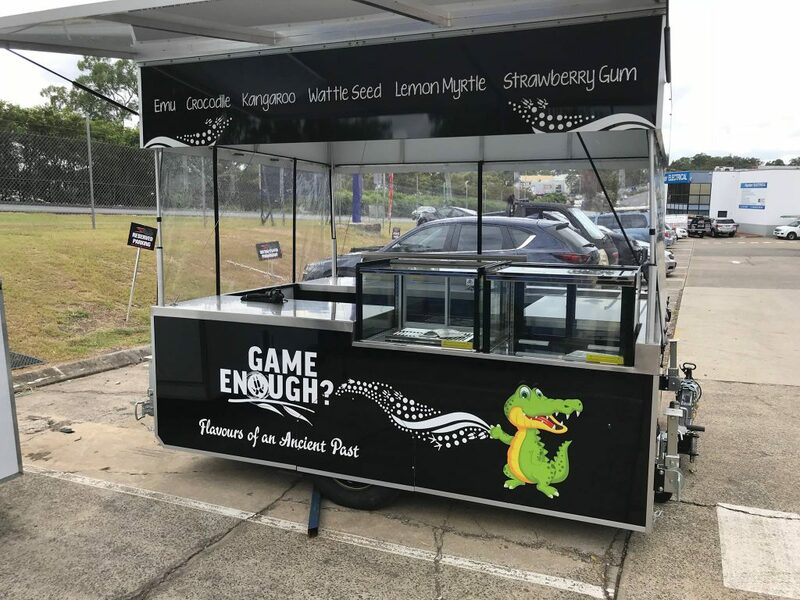 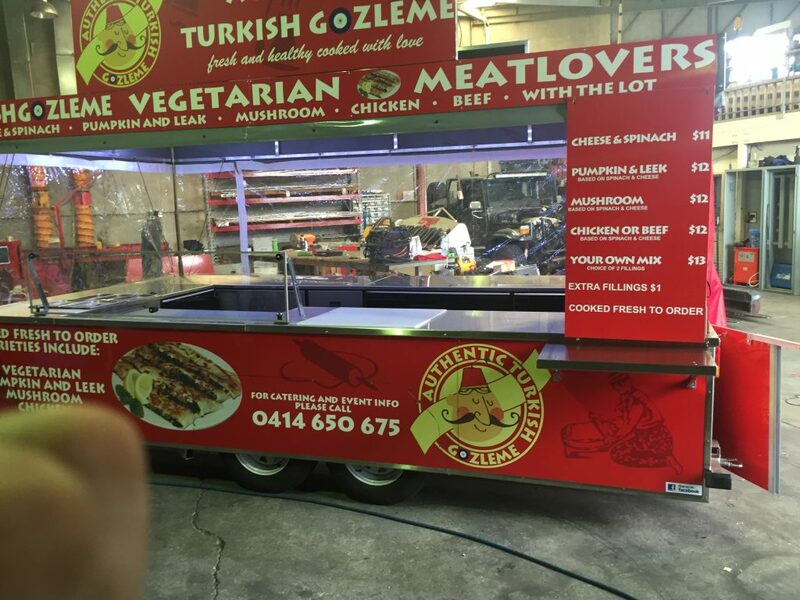 We will work with you to design a food trailer that is specific to what you are selling, with all the add-ons you require. 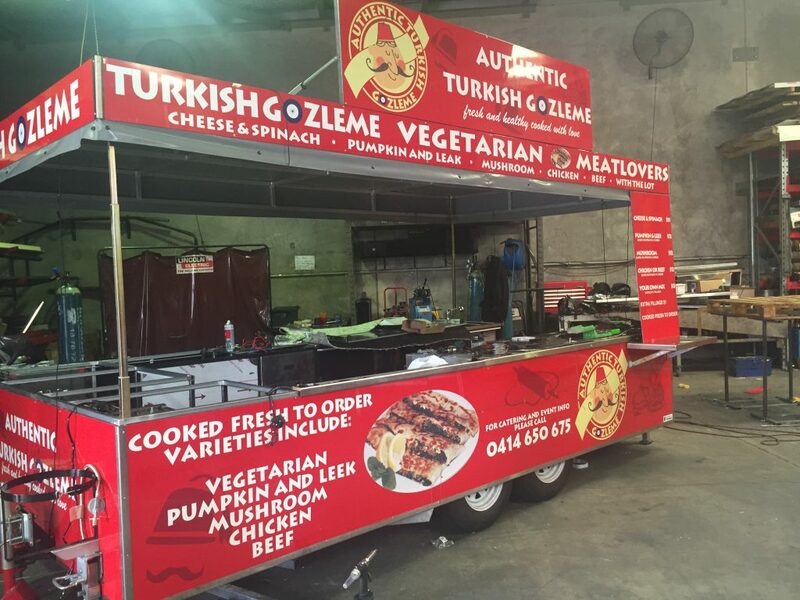 We build all food trailers from the ground up and encourage our customers to take part in the design process. 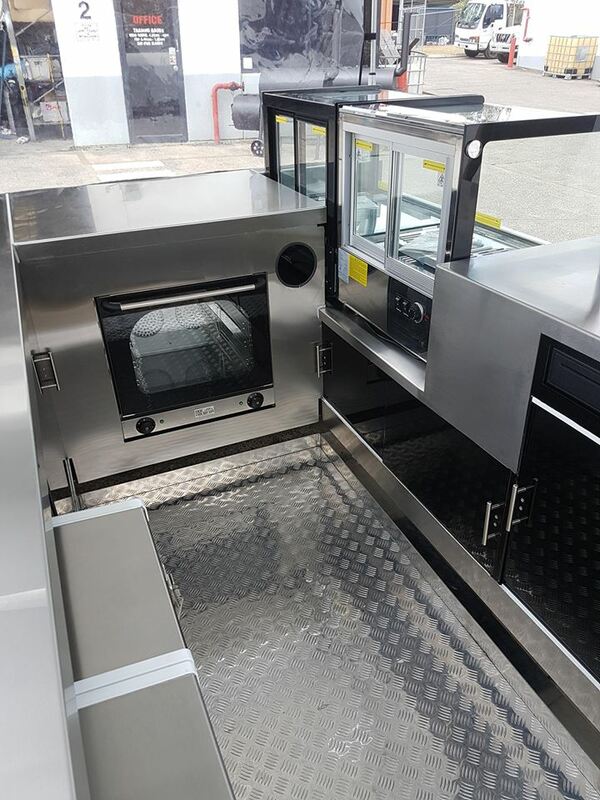 Ensuring your workspace and stations are laid out correctly, ensures productivity and efficiency in the food service industry, and we will work with you to get the best layout to suit your needs. 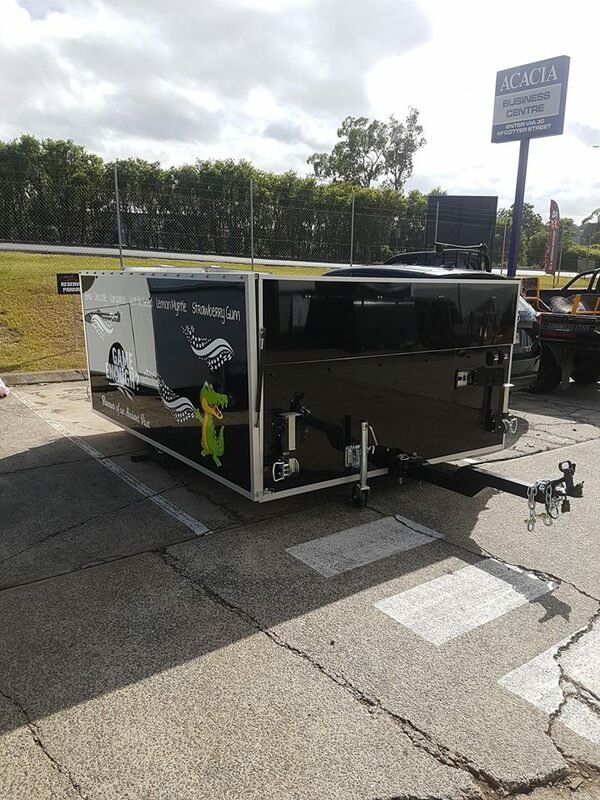 All trailers are customised to suit each and every individual business. 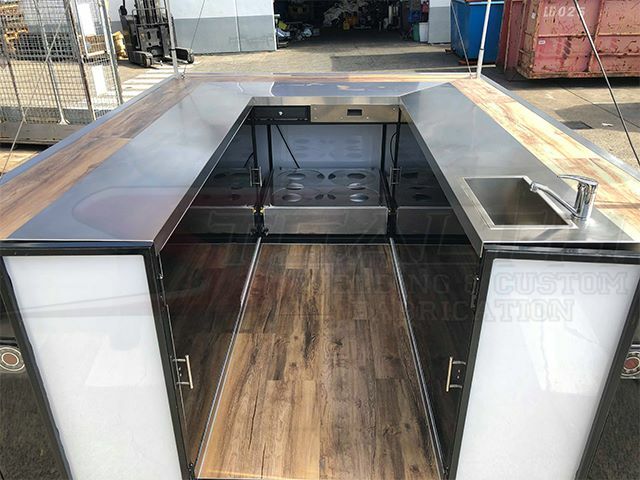 All Stealth Custom Food Trailers have our unique automatic pop-up roof system, allowing for much easier storage options for you when the trailer is not in use. 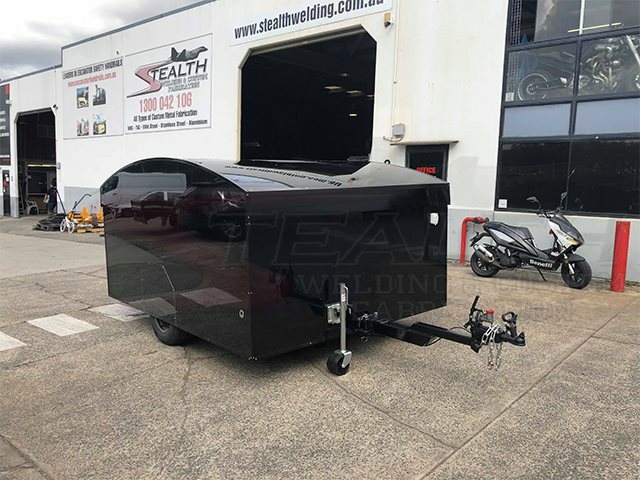 We have designed our trailers to be EASY to store, EASY to tow and EASY to operate. 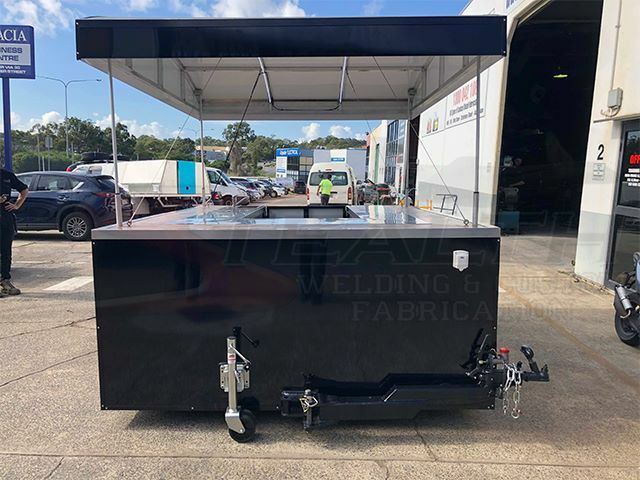 Our unique “fold away draw bar” allows us to maximize the size of the trailer to use all available space on your site – no dead space with a typical “A-Frame” would sit. 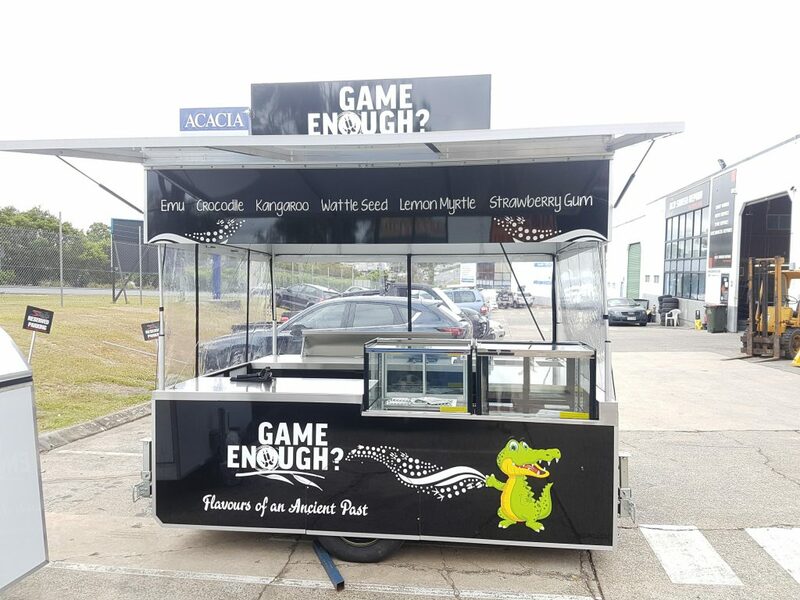 Our adjustable independent air ride suspensions means you have an appropriate ride height when travelling and once set up on site, drop the trailer to serve your customers at eye level. 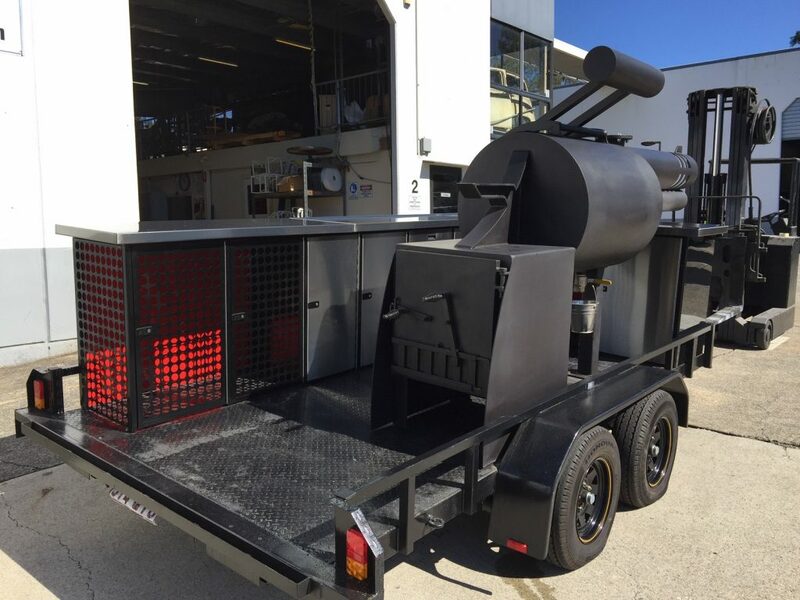 Stealth’s Food Trailers are stylish, practical and affordable. 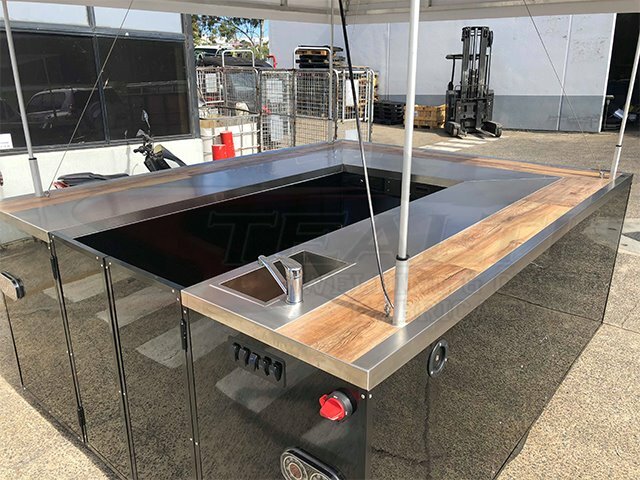 Whether you need a small set up to operate a simple barista business or you need plenty of prep and serving space to cook up a feast, we have an option to suit every budget and need!